One of the newest innovative office interior design is using grass decoration artificial or real even in just one portion of the room or a piece of furniture with grass exterior. Some of the most famous office interior design around the world uses some grass decoration in their office like most of the Google offices in some countries, Skype in Tallin, Estonia and TBWA Hakuhodo Office in Tokyo, Japan. Grass is the next big thing in the office interior design that’s adored by many, and our client is one of those who got inspired to adopt it. 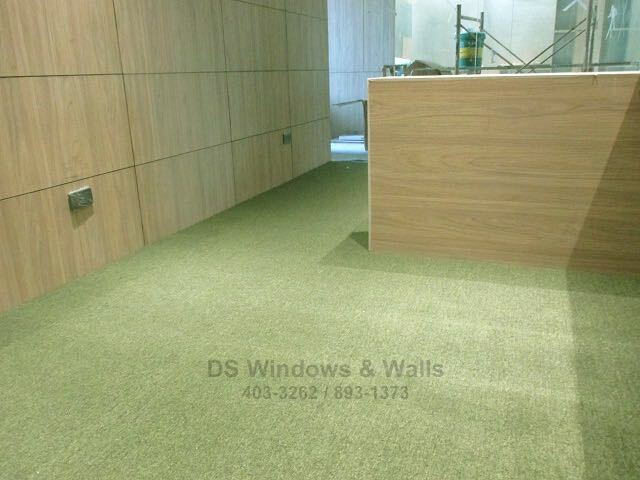 One of our clients in BGC uses a green grass idea for the floor covering and chooses to install mossy grass carpet. 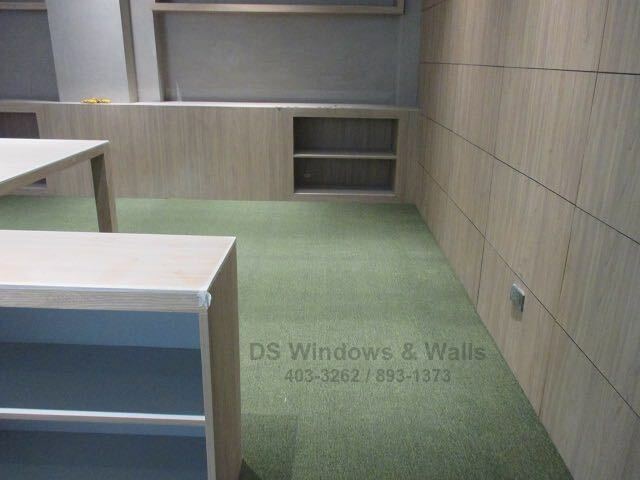 Our client design differs away from the traditional and the common style of studio type office and showcasing new and fresh idea by applying unique mossy grass carpet and wood walling. The wood walling complements well with the mossy grass carpet and producing a balance and relaxing nature design. 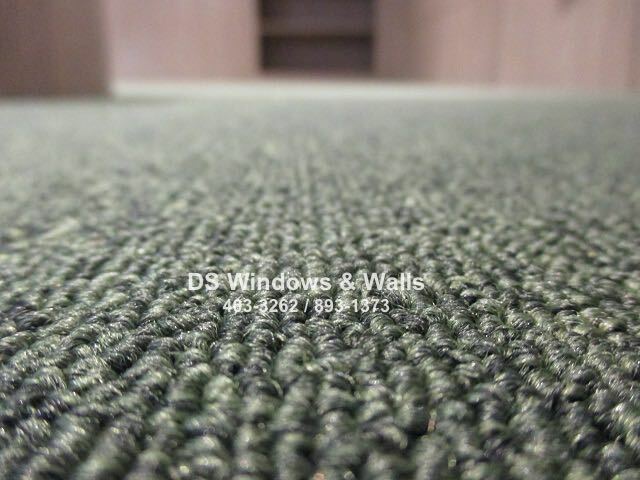 Installing mossy grass carpet for the floor covering not only brought something new and creative for your office interior design but also grass carpet have more benefits in creating the perfect atmosphere for an office. Using green grass floor covering can has a positive effect on your man power production and help to motivates brain cells. Green is a color that represents harmony and nature, and its often great color to use in decoration for its calming effect. 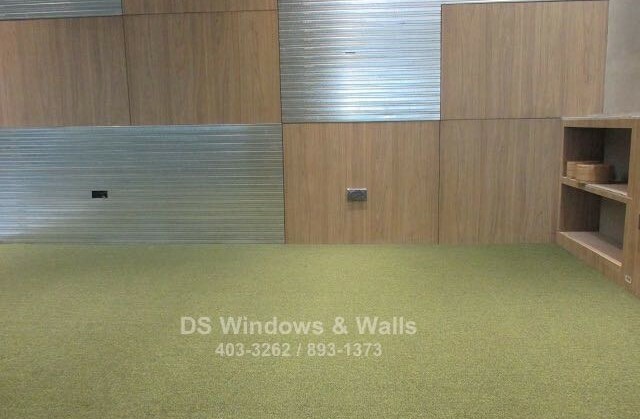 For a company that wanted to create a unique working environment while inspiring the employees to produce new and fresh ideas DS Windows & Wall Interior Supply can help you to accomplish that goal by providing high quality and unique blinds, carpet, folding door and wallpaper. For more inquiries please call us at (02) 893-1373 / (02) 403-3262 / (02) 668-9668 / 0916-311-3909 or visit our showroom at 2nd level Pacific Mall Lucena City, 3rd level Robinsons Metro East, Pasig City and 4th level Waltermart, Makati City.